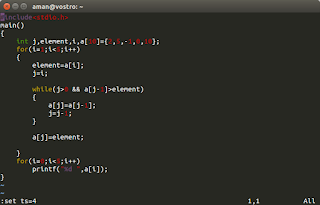 Automatically Indent a whole program! Let's say you made a 100 line code but didn't care to indent it. Here is how to do it in a very simple way. 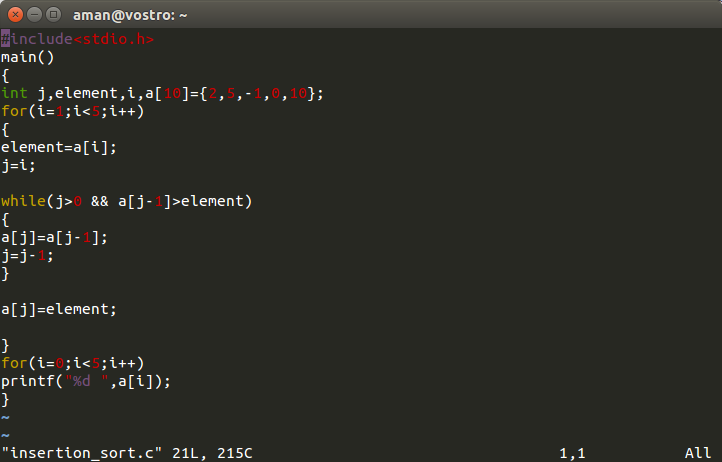 I have a c program for insertion sort which i didn't care to indent. let's open it in vim editor. There you go! easily done! save changes and exit vim. When you copy and paste code from somewhere into vim the code gets arranged with incorrect spacing. So, whenever you are pasting a code into vim editor first press esc and enter the following command to set paste mode and then paste the copied stuff. n>> or n<< where n is the no. 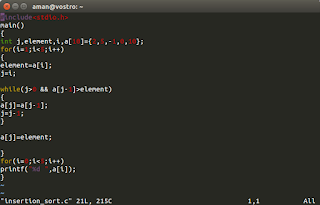 of lines to indent from the current position. 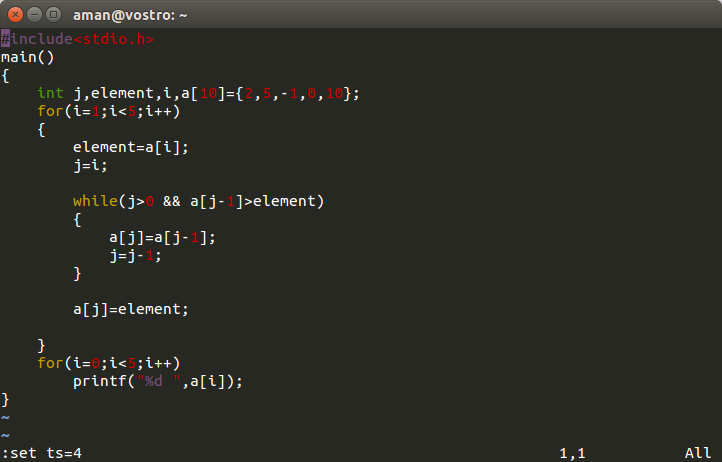 by default the indentation will be 8 spaces. I prefer 4, enter this command to make it 4. The command below will keep the cursor to the same column when enter key is pressed to change the line. 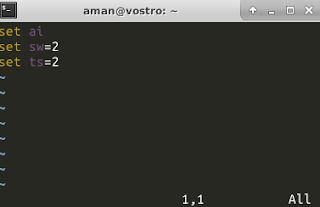 Note: the changes that you have made with the :set command will go away when vim editor is closed. if you want these changes to persist then you have to save these commands in .exrc file.